FAMILY: Father (Dukhia Hembram), mother (Dhania Hembram), two brothers (Durga and Doman), one sister (Singo). HOME ADDRESS: At/PO- Asana, Via- Bahalada, District- Mayurbhanj, Orissa, India. EDUCATION: Completed her Plus-Two education at Jamda College, Mayurbhanj in 2017.
year arts student of Jamda College. TRAINING PLACE: SAI Training Centre, Cuttack, where she joined in 2008. 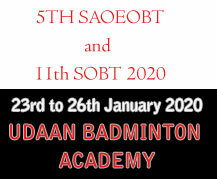 Transferred to SAI Training Centre, Sundargarh in 2009. * Won two gold medals in under-18 girls` heptathlon and javelin events of the State Athletics Championship at Adaspur, Cuttack in 2008. * Won one silver medal in girls-18 shot put event of the 26th East Zone Junior Athletic Championship, held at Kolkatta on Sept 20 and 21, 2014. 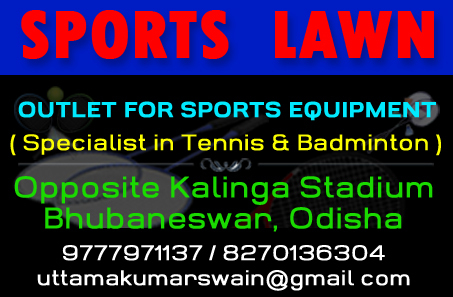 * Won one gold medal (girls-18 100m hurdles) in the 21st East Zone Athletics Championship held at Kalinga Stadium in Bhubaneswar from Aug 16 to 18, 2009. * Won the siver medal in heptathlon event of the 23rd Federation Cup National Senior Athletics Championship, held at NS NIS, Patiala from March 15-19, 2019. * Won the heptathlon gold medal in the 58th National Inter-State Senior Athletics Championship, held at Sarusajai Stadium, Guwahati from June 26-29, 2018. * Won the heptathlon gold medal in the 22nd Federation Cup Senior National Athletics Championship, held at NS NIS, Patiala from March 5 to 8, 2018. * Won the women’s long jump bronze medal in the Indian Grand Prix-1, held at NS NIS, Patiala on Feb 27, 2018. * Bagged an individual double for her employers Railways by capturing gold medals in women’s 100m hurdles and heptathlon events of the 57th National Open Athletics Championships, held at Jawaharlal Nehru Stadium in Chennai from Sept 25 to 28, 2017. * Won the 100m hurdles gold in the 57th National Senior Inter-State Athletic Championships, held at Acharya Nagarjuna University ground in Guntur (AP) from July 15 to 18, 2017. * Won the heptathlon silver medal in the 21st Federation Cup National Senior Athletics Championships, held at NS-NIS in Patiala from June 1 to 4, 2017. * Won the gold medal in in women’s 100m hurdles, clocking 13.79 in the third leg of Indian Grand Prix, held at JN Stadium in New Delhi on May 15, 2017. * Won the women’s long jump bronze medal with an effort of 6.01m in the second leg of the Indian Grand Prix, held at JN Stadium in New Delhi on May 11, 2017. * Won the women’s 100m hurdles gold medal with a timing of 13.85s in the first leg of Indian Grand Prix, held at Netaji Institute of Sports Complex in Patiala on May 7, 2017. * Won the gold medal for Indian Railways in women’s 100m event with a timing of 13.96 secs in the 56th National Open Athletics Championship at SAI Stadium in Lucknow on Sept 28, 2016. * Won the women 400m hurdles gold medal on her maiden attempt in the 56th National Inter State Senior Athletic Championship at GMC Balyogi Stadium in Hyderabad June 29, 2016. * Won heptathlon gold medal with 5,713 points in the 20th Federation Cup National Senior Athletics Championship, held at J N Stadium in New Delhi from April 28 to 30, 2016. * Won one gold medal each in heptathlon (5,444 points) and 4x100m relay events of the 55th National Inter-State Senior Athletics Championship, held at J N Stadium in Chennai from July 10 to 13, 2015. 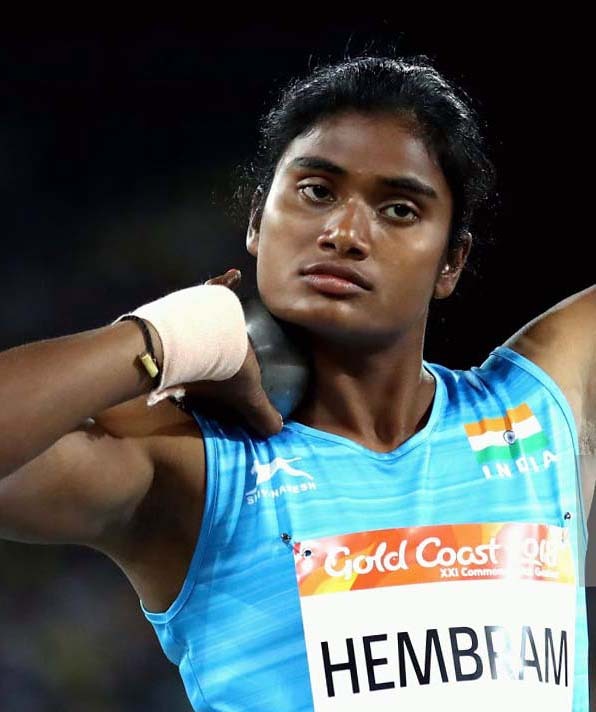 * Won the women’s heptathlon gold medal, scoring 5462 points in the 19th Federation Cup Senior National Athletics Championship, held at Mangaluru from May 1 to 4, 2015. * Won one gold medal in women’s 4x100m relay and one bronze in heptathlon (4932 points) event of the 54th National Inter-State Senior Athletics Championship, held at Lucknow from June 5 to 8, 2014. * Won the heptathlon silver medal for ONGC in the 53rd National Open Athletics Championship, held at Birsa Munda Athletic Stadium in Ranchi (Jharkhand) from Sept 7 to 10, 2013. * Won one bronze medal in 4x1000m relay, representing ONGC in the 17th Federation Cup Senior National Athletics Championship, held at Patiala from April 23 to 26, 2013. * Bagged a silver medal with 4953 points in women`s heptathlon event of the 51st Open National Athletics Championship at Yuva Bharati Krirangan in Kolkatal on September 12, 2011. * Bagged a creditable double by winning gold medals in girls-20 heptathlon with a total of 4742 points and the 100m hurdles with a timing of 14.49 seconds in the 27th National Junior Athletics Championship, held at Ranchi (Jharkhand) from Nov 1 to 4, 2011. * Won one gold with new meet record in girl’s pentathlon (4810 points) and one bronze in 4x100m relay events of the 11th Federation Cup Junior National Athletics Championship, which was held at Pune from May 8 to 10, 2012. * Won a silver medal in 100m hurdles, clocking 14.35 seconds in the 52nd National Inter-State Senior Athletics Championship at Hyderabad on June 26, 2012. * Won two gold medals in girls 100m hurdles (15.22s) and heptathlon (4062 pts) in the 7th National Youth Athletics Championship, which concluded at Nehru Stadium in Coimbatore (TN) on April 25, 2010. She also the gold in girls 1000m sprint medley relay with Ros Dipika Baa, Ranjita Mahanta and Bibiana Kulu as partners (timing: 2:20.32). * Won a bronze medal each in u-18 girls heptathlon and 100m hurdles (15.44 secs) events of the 25th National Junior Athletics Championship at Warangal (AP) on Nov 20, 2009. * Won the gold medal in women’s pentathlon event of the 5th Asian Indoor & Martial Arts Games at Ashgabat, Turkmenistan on Sept 18, 2017. * Won women’s heptathlon bronze with 5511 points in the 21st Asian Athletics Championship at Wuhan in China on June 4, 2015. * Bagged her maiden international medal in the form of a gold in women heptathlon event, logging 4,979 points in the 15th Asian Junior Athletics Championship at Colombo (Sri Lanka) on June 12, 2012. * She was conferred with the 1st OSJA Outstanding Sportsperson of the Year Award by Odisha Sports Journalists’ Association on the occasion of its Foundation Day in Bhubaneswar on March 21, 2018. * In July 2017, she took admission in Kalinga Institute of Social Sciences (KISS) to pursue Bachelors degree course from academic session 2017-18. * On July 21, 2017, KIIT and KISS announced a cash incentive of Rs 25,000 for her for winning the 100m hurdles gold medal in the 57th National Senior Inter-State Athletics Championships at Guntur. * She was given a cheque worth Rs 3 lakh by Chief Minister Naveen Patnaik on the occasion of inauguration of new facilities of Kalinga Stadium in Bhubaneswar on July 1, 2017. * She was conferred with the Biju Patnaik Sportsperson of the Year Award for the year 2015 and a cheque of Rs 2 lakh in Bhubaneswar on August 29, 2016.
cricket captain Ajay Jadeja in Bhubaneswar on Dec 26, 2014. The carried a monetary incentive of Rs 5 lakh, a memento and citation. * Odisha Olympic Association on Sept 10, 2013 announced a cash award of Rs 25,000 for Purnima for winning the heptathlon silver in the Open Nationals at Ranchi. * Odisha Athletic Association on July 14, 2012 announced a cash award of Rs 25,000 for Purnima for winning gold medal in girls heptathlon event of the 15th Asian Junior Athletics Championship at Colombo, Sri Lanka, in June, 2012. * Played football till class IX.